and Annette gifted me this award. 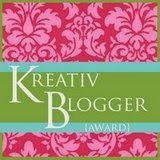 Its your lovely blogs which inspire me. Thank you for your love and kindness. Sorry to hear about Michael Jackson 's passing away. He was a great artist. Hi Amrita,congrats on your award. You do have a very lovely blog. I pray the rain will come for India soon. We are getting some really hot and dry weather here. It has beeen in the 100's this week. One man in a near by town has died from heatstroke this past week...so sad! Guess no monsoons yet...come on rain! Congratulations on yr blog award! I sure enjoy coming here to read yr posts. The music world lost a real talent yesterday with Michael Jackson's death. I'm expecting the monsoon to be there any minute. Congratulations on your newest award. You truly deserve it. I'm sure there will be many more to come. Yes, I saw that clip on TV and it's really amazing how Pres. Obama was able to swat the fly with his bare hands. Yes, it's a sad news about the death of Michael Jackson. In spite of everything they say about the guy, he was a trailblazer in his own era. He popularized the MTV and made his own MTV's a part of everyone's life. I will surely miss him. Thanks for the post. God bless you always. Congratulations on your award, well deserved. Would you believe PETA got up in arms about the fly. You are one creative woman, and you are a blessing to me, dear Amrita. My hearty congratulation to you for the award. You are one of the top class bloggers with so many variety of topics, humor and information on so many subjects. Michael Jackson was a great artist and an icon. The music world will miss him very badly. It is also a big loss for me. Th monsoon clouds are nearing. They predict the rains will come to my part of N India by the first week of July. The power and water situation is pretty bad. By God 's grace we have our well and the govt. supply is also enough for us. A poor muslim widow does her laundry at ur garden tap. They have water fights inher area and sometimes she has to wait till midnight to fill her pots. We have asked other poor ladies to come and take water from us but they live so far its not poosible to cart water home. In a fight over water 3 people were killed in Central India. congrats on the sweet award! hugs to you! dear amrita...i just read bernie your comment here and he was so saddened about the poor widows and those three people that were killed over water. he said that we just don't realize how blessed we are to just have to turn our taps on and get water any time we want. we only pay about 25 dollars a month for our water and the rain water bernie collects, he just uses for the garden and washing the car.